This toddler storytime has been a hit with large groups (40-50 little ones and adults) on multiple occasions. Check out the links to Jbrary to see several of the songs in action. While some of the songs and books don’t obviously tie into a bathtime theme, you’ll see how they all connect together. I find books I want to read and then pull threads from the books- animals, activities, etc.- to connect with songs and activities I want to include, I know are crowd pleasers or help me introduce an early literacy tip. I’m just gonna swim on home! Rain is coming down. Splash! Pitter patter, pitter patter rain is coming down. Splash! Sun is peeking out. Peekaboo! Peeking here, peeking there, sun is peeking out. Peekaboo! Snow is falling down. Shhh! Falling here, falling there, Snow is falling down. Shhh! As I was doing some research online about my predicament, I came back to a place I love- Mel’s Desk. In one of her posts she talks about a similar audience that is rich and varied and how she plans for the varied ages. She plans for the babies and the toddlers jump right in. I decided to do the same. What a fun, happy storytime we all had! I spent a lot of time talking to parents during this storytime, not in large chunks, but in asides. I slipped in little tidbits of information here and there, without losing the interest of the kiddos. Toddlers are not as tolerant of these asides! I talked about the importance of repetition and why we sing the same welcoming song, for example. I talked about introducing the idea of family traditions (holiday and otherwise) and being thankful. 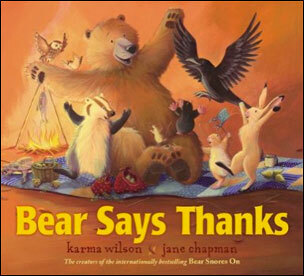 I also emphasized the signs we would use in the welcome song and throughout the Bear Says Thanks book we would read during the storytime. Credit: Adapted from the traditional and the Jbrarian variations. 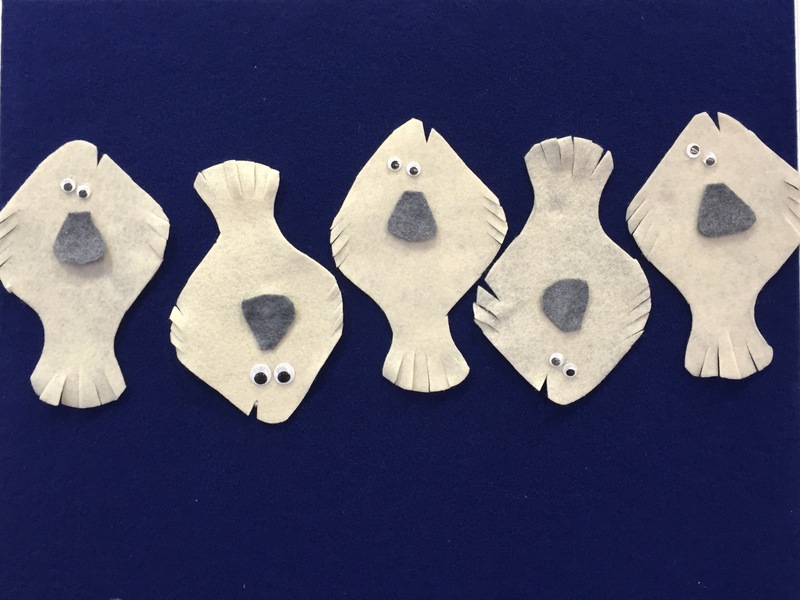 Inserting the name of a local bird makes this song more relevant to our kiddos and will help them connect the song with the real bird they see regularly. … wave your hands (bounce baby up and down holding their hands above their head). We sing and move with this song at the end of storytime these days. We sing the song twice and I let families know they can crouch down on the floor for the second verse or stand with their baby and stomp their feet on the floor. 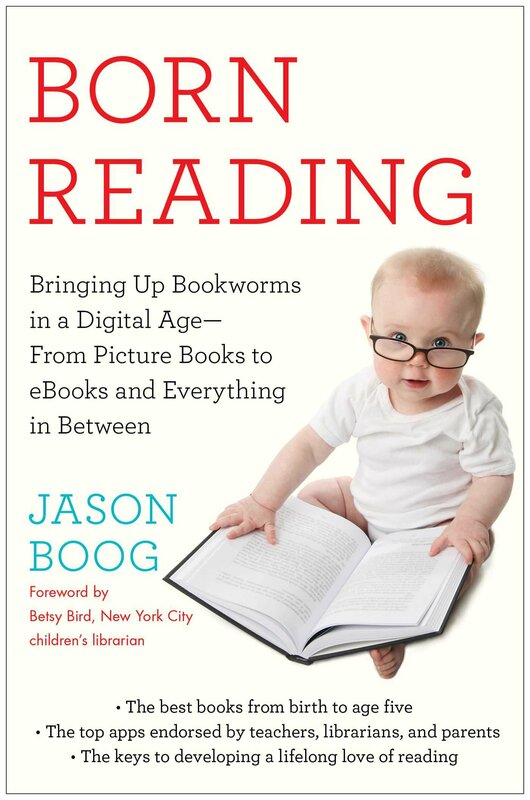 At the end of storytime, I introduced families to Jason Boog’s book Born Reading (Touchstone Books, 2014), a wonderful, thoughtful book about inspiring readers from the day they are born. I like to share it with families in part because it is written by a parent in an easy to digest format (think 5 min chunks before an exhausted parent dozes off at night), and because it introduces the concept of joint media engagement, intentional use of digital media and the idea of a digital media plan to new families. bears (grr grr) perfectly anticipating the theme. 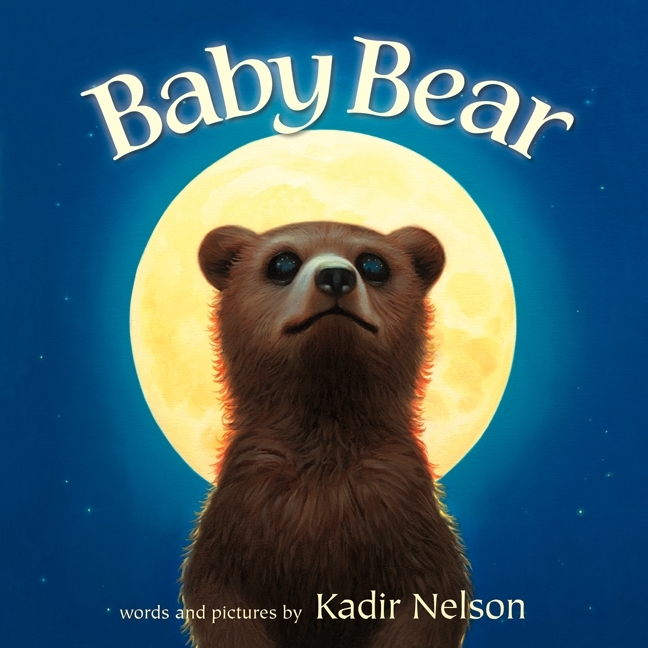 Kadir Nelson’s newest book features his masterful illustrations, but instead of telling the story of an African-American leader, he tells the story of baby brown bear the family he discovers in the woods around him. It’s a touching tale that is made strong by the powerful images that accompany the text. The book provides a great opportunity to talk about illustrators with children and caregivers and what they bring to picture books. I particularly like this book because for kids here in Homer this books offers animals that they know from the environment around us (for the most part). 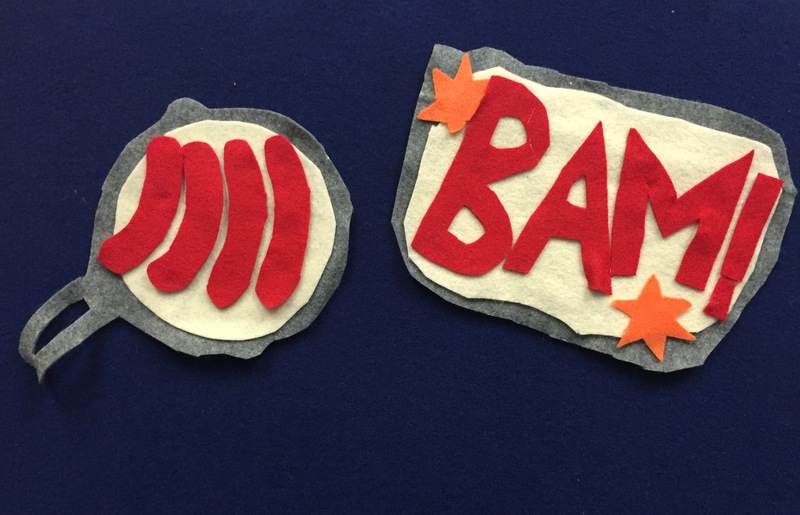 kids could anticipate the next number because of the rhyming text, hearing the ending sounds of words. 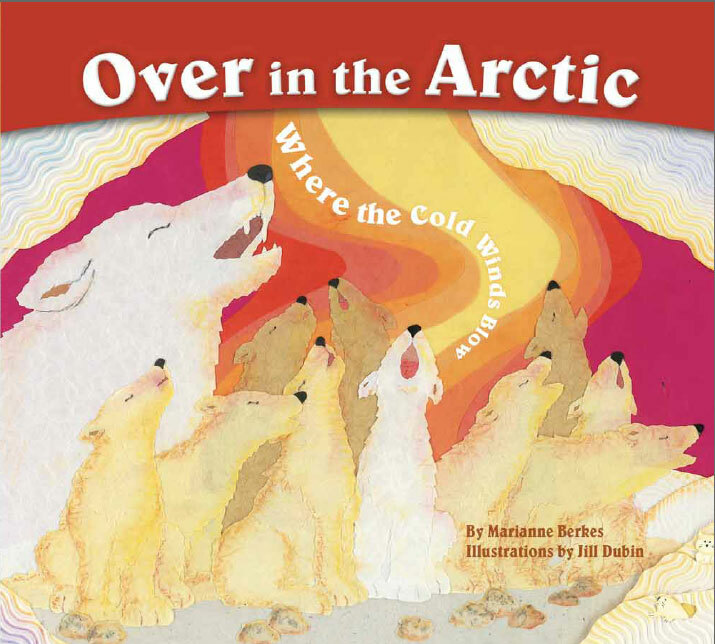 One of the other reasons I shared this beautifully illustrated book is that even kids who live in parts of Alaska need to know more about the Arctic. For example, on the page which features wolverines the ground is brown to represent the Spring/Summer tundra. When I showed kids this page, one said “That’s not the Arctic because it is brown.” I assured him it was and explained why. The snow melts off the tundra in summer. Wolverines live on land not on the ice that covers much of the ocean in winter, the source of white many associate with the tundra. Peter Brown’s books are perfect storytime humor. 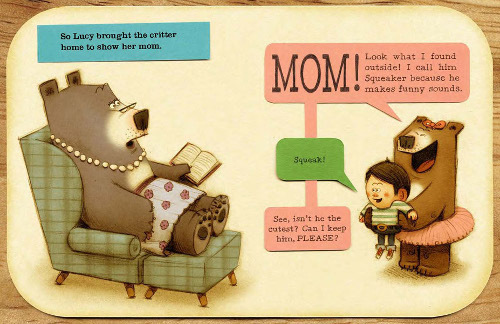 The mixed-media art, lovable Lucy the bear, and the idea of a bear keeping a child as a pet inspire lots of giggles. After reading together, we brought Jim Gill to storytime for parachute play. We shook that parachute up and down and all around to the song Alabama, Mississippi. I got the idea from So Tomorrow. Check it out for more great parachute play ideas. 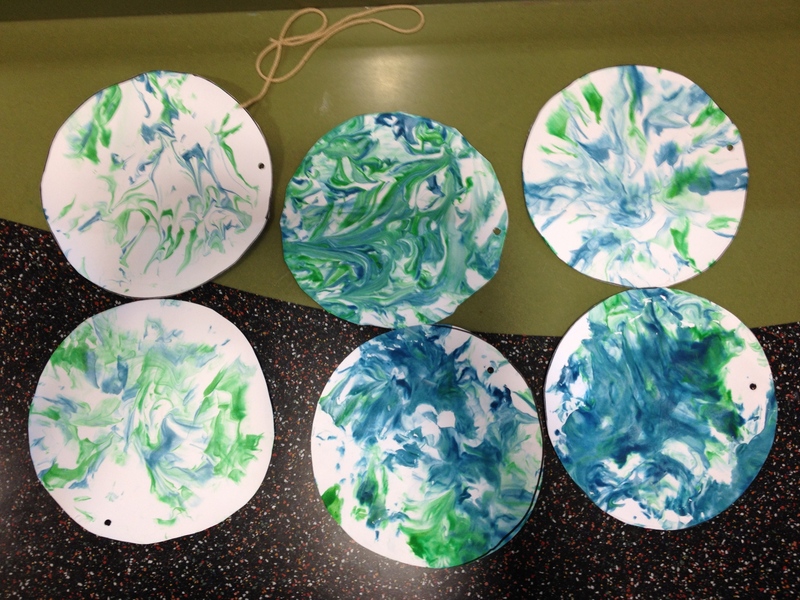 In honor of Earth Day, we brought out the shaving cream and made marble painted Earths. 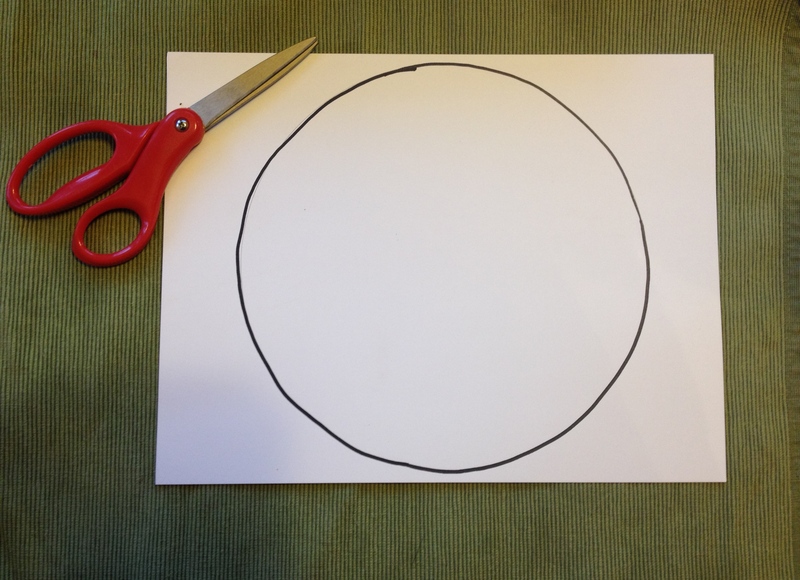 Each child picked out a piece of card stock with a circle already drawn on it. They cut out the circle and wrote their name on the back of it so we could identify their Earth later on (they all start to look similar when they are drying next to each other). 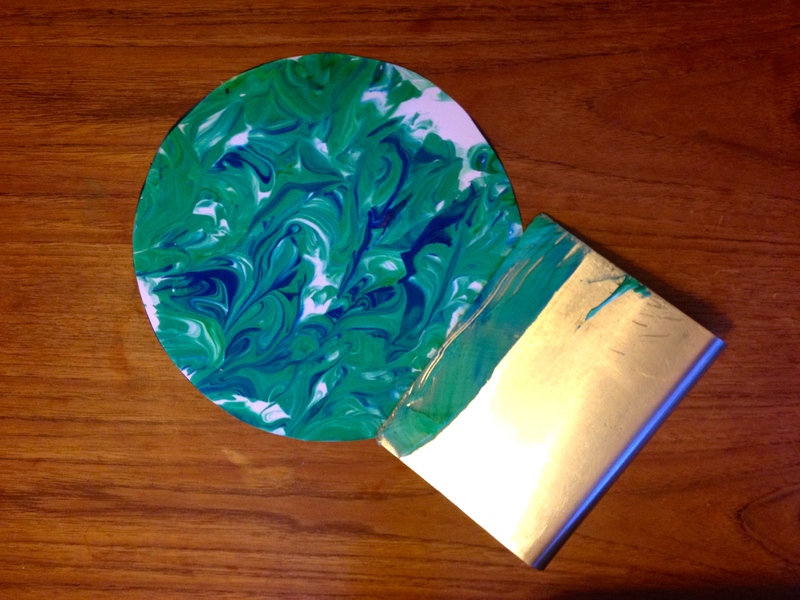 The kids then brought their cut circle over to the painting station or to the tissue paper station. I offered the two so that kids who were waiting to paint or didn’t want to paint had another option. At the painting station I had bottles of shaving cream that kids and parents sprayed into the trays. 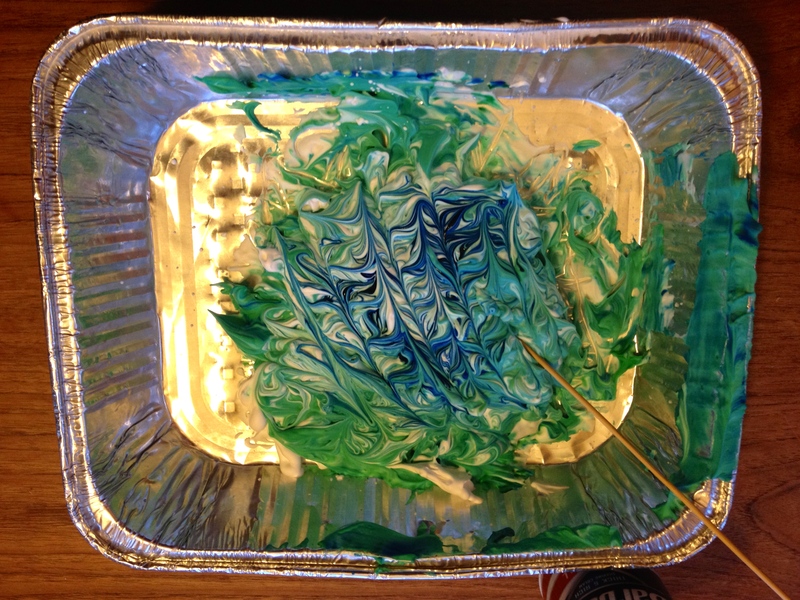 Adults then put 3-4 drops of blue and green food coloring on to the shaving cream. Kids used popsicle sticks to make patterns in the shaving cream, careful not to spread the shaving cream like cake icing (makes for a solid color instead of a pattern if they do this). Once they were done making the pattern, they laid the circle on top of the shaving cream and gently pressed it on down. Their circle looked something like this when they lifted it off the shaving cream. The final step was to bring me their Earth. By our children’s library sink, I scraped the excess cream off of the Earths and laid them out to dry which took less than 10 minutes. This wait gave families a chance to look for books or play together.